The Medical Student's guide to leading residencies, distributed to medical school deans and career placement officers. Include your program, organization, or opportunity in this popular annual publication for medical students. Reach prospective applicants at an affordable price. 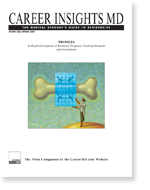 CAREER INSIGHTS MD, The Medical Student’s Guide to Residencies, is an annual publication distributed free-of-charge to every medical school (both allopathic and osteopathic) in the U.S. in the fall. More than 21,000 copies of the guide are distributed to medical school deans and career placement officers, who then make them available to their current third-year medical students. Please click on the cover images to view the PDF version of past issues. 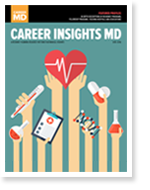 CAREER INSIGHTS MD is a cost-effective way to communicate information about your program to a large and diverse audience of prospective applicants. 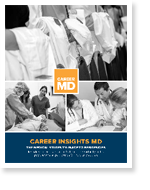 Even if your program has its own website or recruiting brochure, participation in CAREER INSIGHTS MD will further raise your program’s profile among thousands of medical students. The guide is designed to provide students with in-depth, qualitative information about each program, not just facts and figures. Residency descriptions are presented in standardized formats that enable students to make apples-to-apples comparisons of programs. 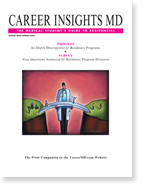 Participation in CAREER INSIGHTS MD is an effective way to demonstrate your organization's support for new physicians. Reach prospective future members as they are making key career decisions and are most receptive to learning about future specialty and subspecialty training opportunities. Publish a description to outline your association's goals and the resources you provide. Highlight special membership offers you may have for physicians-in-training. Advertising your opportunity in CAREER INSIGHTS MD will allow you to reach medical students who are seeking to enhance their medical education with hands-on internships or travel opportunities. Reach prospective applicants with an affordable display advertisement. 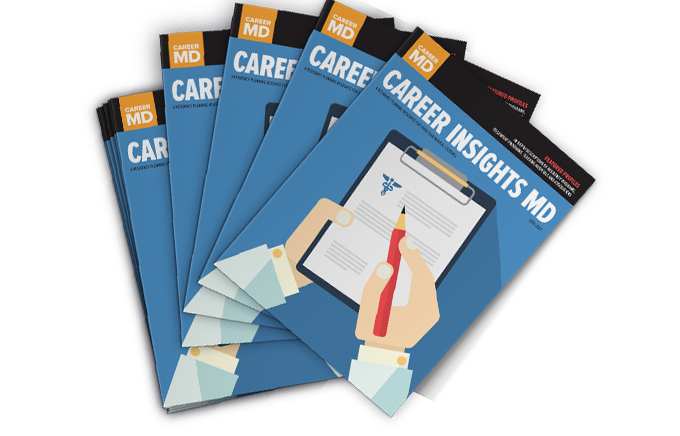 CAREER INSIGHTS MD is an invaluable resource that aggregates essential information on residencies in one place. Other types of programs (such as clerkships and summer opportunities) are often featured to present students with choices that can help enhance the medical education experience. Each edition also offers insightful articles and editorial content, often contributed by fellow medical students, current residents/fellows, or program directors. Download a copy of the media kit and submission form. Any questions or feedback on the publication may be directed to Thomas Barquinero at TBarquinero@CareerMD.com or (800) 355-2626. Advertising options include both classified and display ads. Classified ads are text only. Display ads are printed in full-color. Suggested ad sizes are listed below.